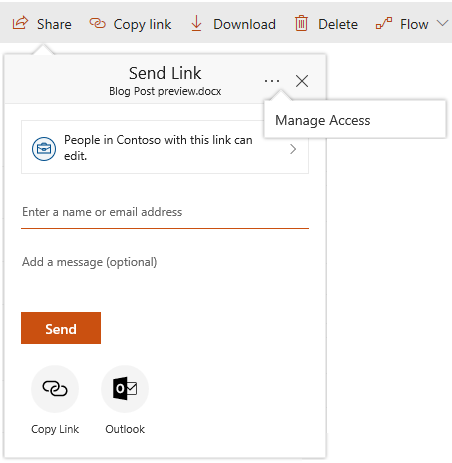 You can see who a SharePoint or OneDrive file or folder has been shared with at any time. In the sharing dialog, click the ellipses (...) in the upper right corner. The Manage Access panel opens. 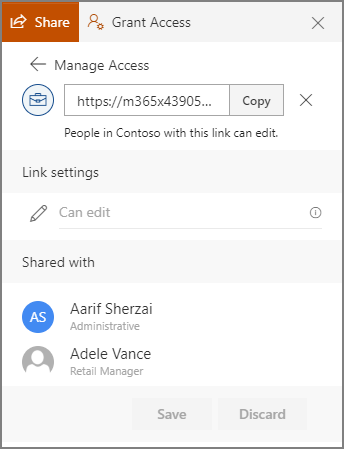 The Links Giving Access section shows the links that have permissions to the file or folder. Click the ellipsis (...) to see the users that the link has been shared with.